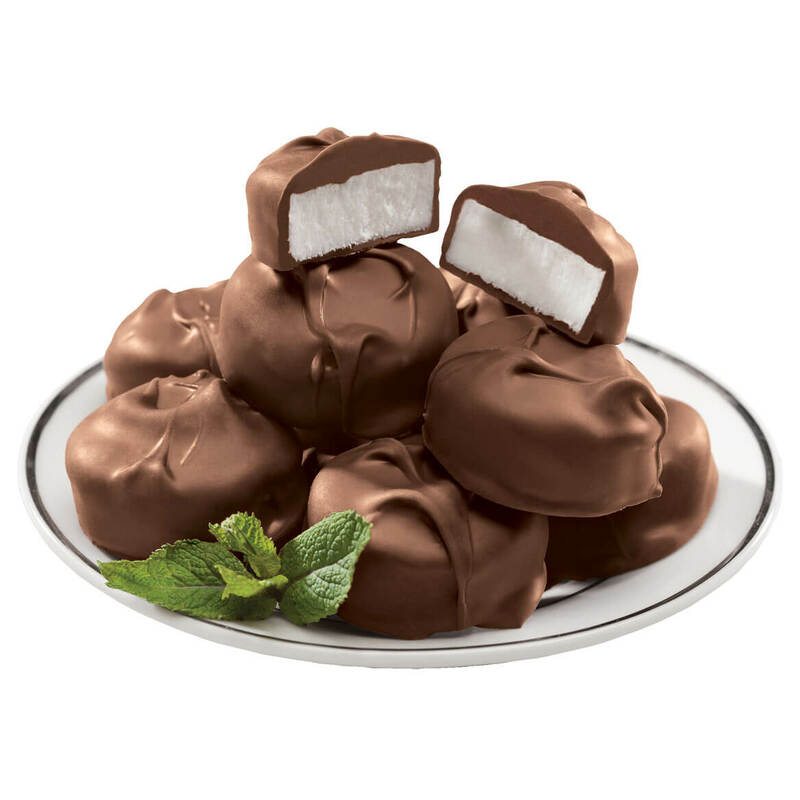 Enjoy cool, creamy mint and decadent dark chocolate … savoring pure goodness without the slightest hint of guilt. Offering sweet satisfaction for the sugar-conscious candy lover, these sugar-free mint patties feature chunks of minty goodness dipped in velvety dark chocolate. A rich, refreshing after-dinner treat, these peppermint patties are made with quality ingredients, sweetened with Maltitol and incredibly delicious! 10 oz. Crunchy, buttery and brimming with freshly roasted peanuts, this savory sugar free peanut brittle gift is made from an old-world recipe created in 1916. Still cooked in copper kettles, the texture and taste of this sugar free peanut brittle are simply exceptional—in fact, it’s nearly impossible to distinguish the tasty sugar-free from the original. Packed in a copper colored tin, perfect for sharing. 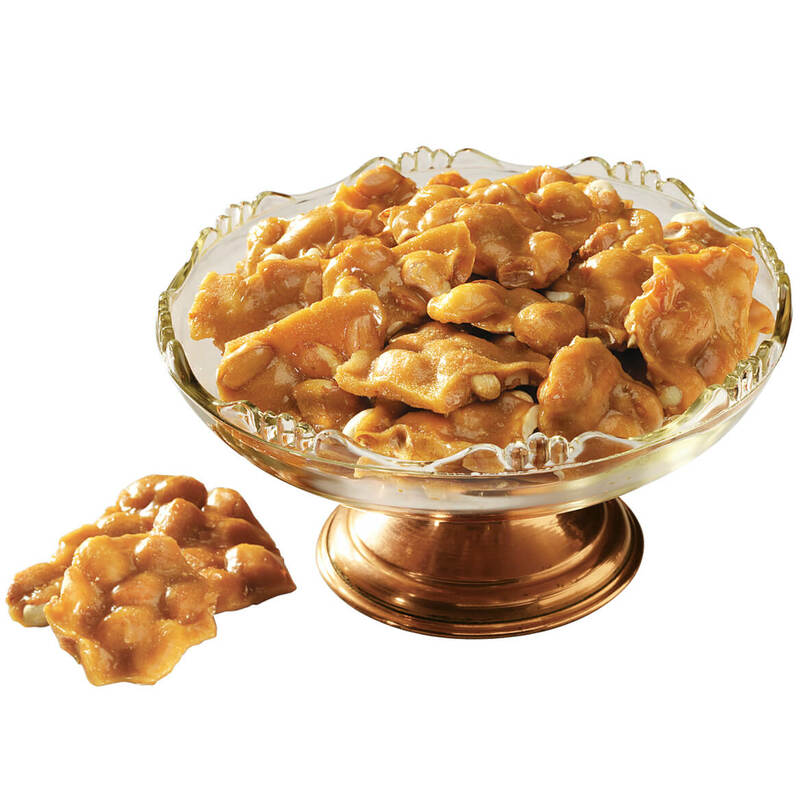 12 oz peanut brittle gift box. This updated version of the beloved Chick-O-Stick is a little sweet, a little salty, COMPLETELY crunchy and made without sugar! Atkinson Candy Company first introduced their famous honeycombed candy filled with peanut butter and rolled in toasted coconut in the 1950s—and now offers a yummy alternative for anyone wanting to restrict their sugar intake. Deliciously sweetened with Splenda instead of sugar, each flaky, crunchy sugar-free candy is individually wrapped for freshness (though they won’t be around long!). Sugar-Free Chick-O-Stick candy is also Kosher certified, gluten free and vegan friendly. 3.75 oz. 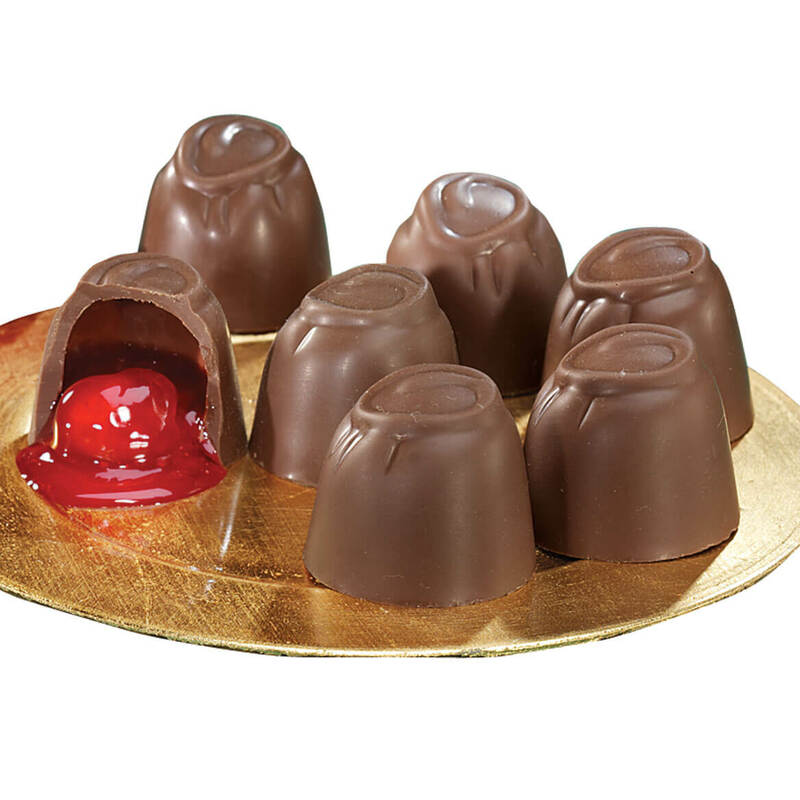 Our expert confectioners worked magic to render luscious sugar free cherry cordials! 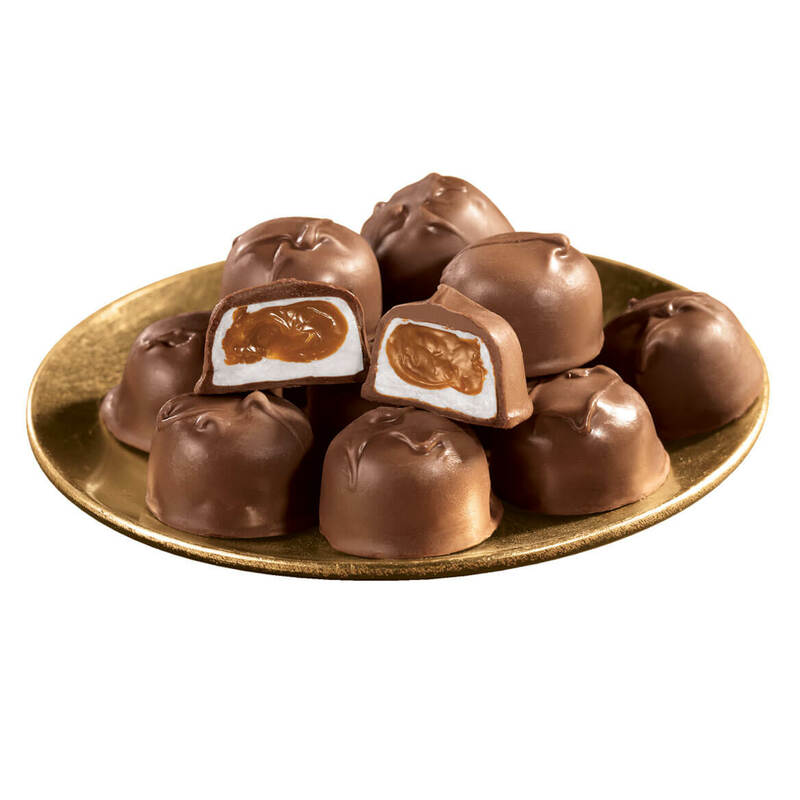 These sugar free cherry cordials feature plump, premium cherries in creamy cordial centers, the classic confections are enrobed in smooth milk chocolate, sweetened without sugar. They’re nestled in a classic gift tin. 10.5 oz. Allow 2-3 weeks for delivery. No express shipping. Pure delight for coconut lovers, these sugar-free coconut royal creams boast rich, moist coconut cream covered in Asher’s luxury chocolate! Made with Sorbitol and Maltitol, the luscious chocolate confections are also low in sodium and are perfect for anyone following sugar-free restrictions but craving guilt-free goodness and sweet satisfaction. 10 oz. Old-fashioned milk chocolate candies are bursting with soft, chewy coconut in all its glory—sweet, rich, pleasurable, and no sugar involved. Perfect for anyone wanting to cut down or eliminate sugar without sacrificing flavor (or fun! 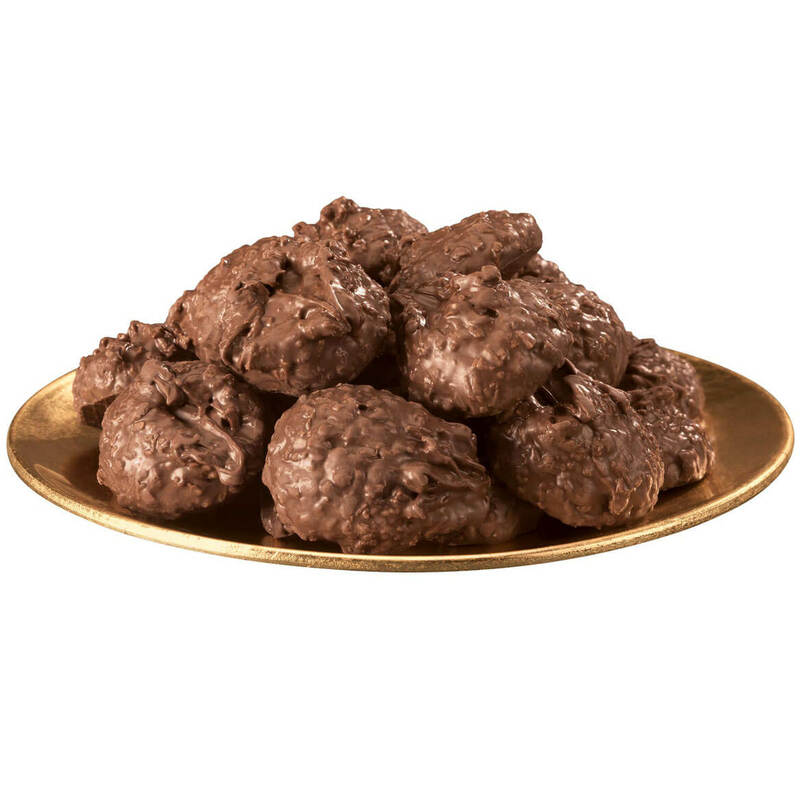 ), sugar free coconut clusters are deliciously sweetened with Maltitol. 12 oz. Contains approx. 32 pieces. 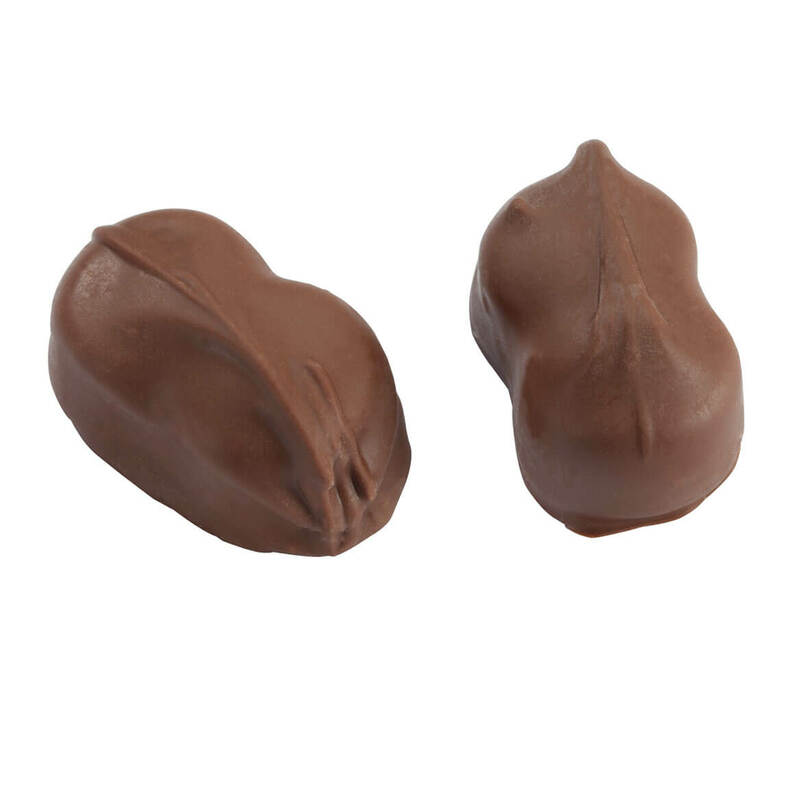 Milk chocolate candies bursting with soft chewy coconut; Deliciously sweetened with Maltitol; 12 oz. bag contains approx. 32 pieces. If you normally pick through a box of chocolates to find that elusive orange cream, you’ll love every morsel in this bunch—and they’re all sugar free! Asher’s® crafts these sugar-free orange sherbet creams with their award-winning milk chocolate, surrounding light, luscious orange sherbet cream for a taste that’s unique, delicious and wonderfully satisfying. 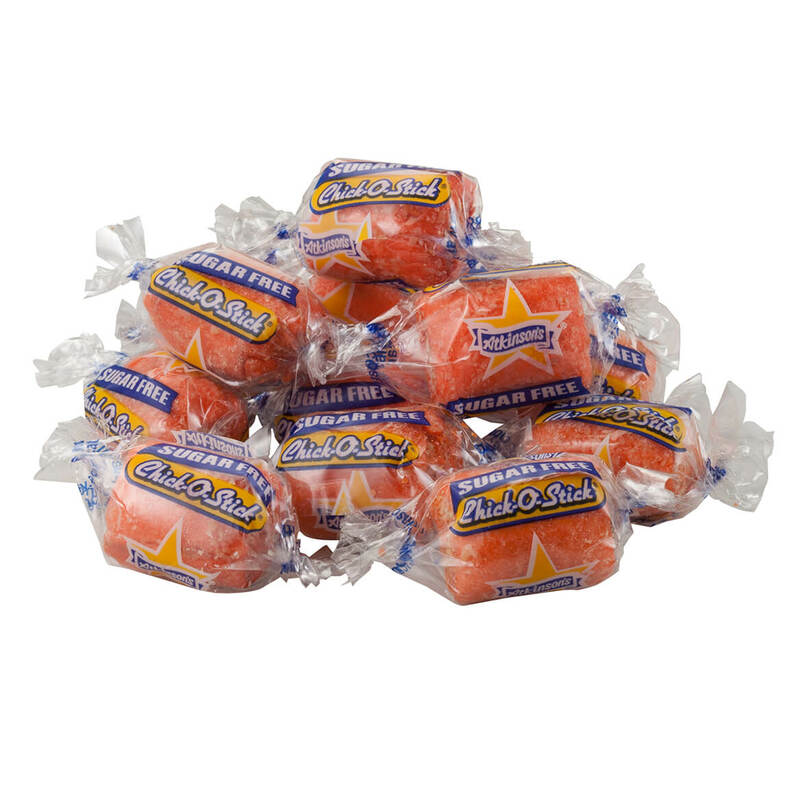 Smooth, creamy and bursting with fresh, orange flavor, these cream-filled chocolates are sweetened with Sorbitol and Maltitol, and great for folks wishing to restrict their intake of sugars. 10 oz. 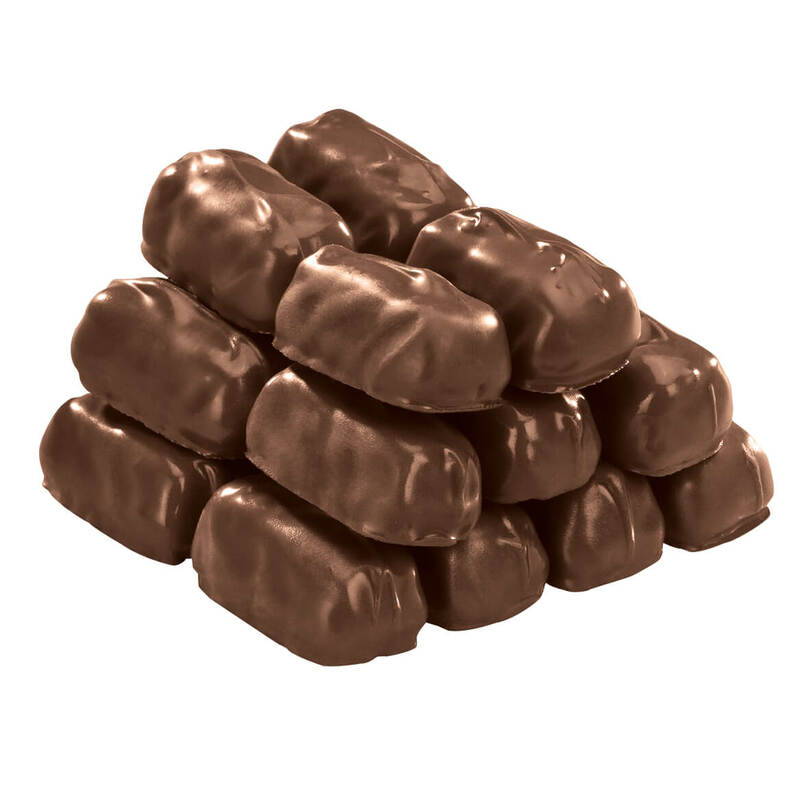 Sugar free milk chocolate caramel marshmallows offer everything you love … rich, classic milk chocolate smothering a smooth caramel center wrapped in soft, sweet marshmallow. The only thing missing from these luscious confections is sugar, and you’ll never miss it! Handmade in small batches by Asher’s Fine Chocolates, they’re sweetened with Maltitol. 10 oz. 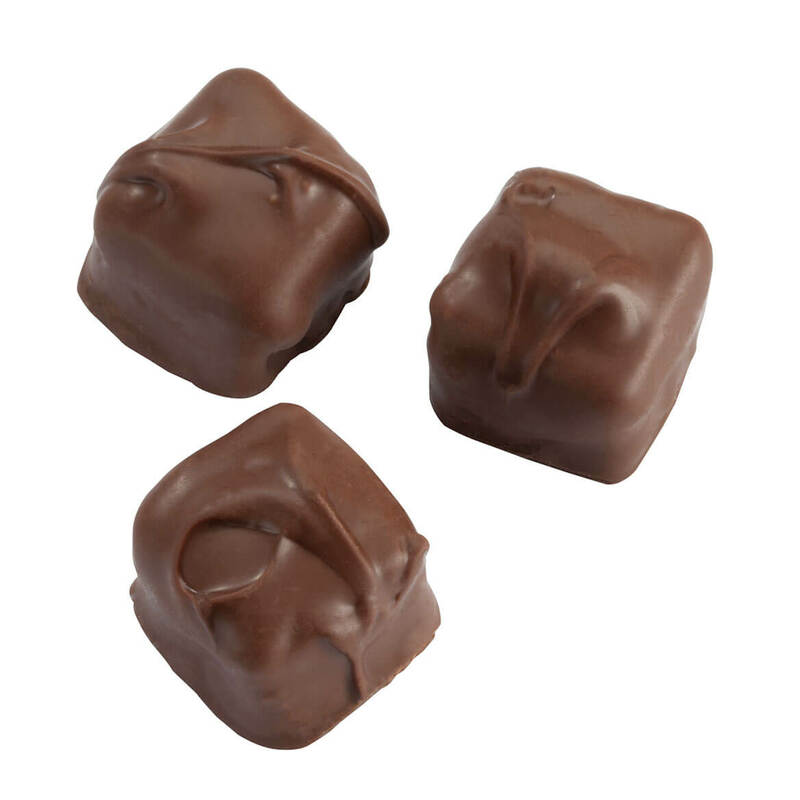 Handmade in small batches by Asher’s Fine Chocolates; Smooth caramel center wrapped in sweet marshmallow; Smothered in milk chocolate; Sweetened with Maltitol; 10 oz. The Asher’s confectioners assure these rich, sugar-free milk chocolate orange jellies offer gourmet flavor—serving up pure delight without disappointment. Treating tastebuds to smooth orange jelly for a burst of flavor, the milk chocolate candy is low in sodium with zero trans fat per serving. Offering real-deal goodness for your kids or loved ones with special dietary needs, the chocolate sticks are deliciously sweetened with Maltitol. 10 oz. Decadent, yes … sugary no! Asher’s gourmet chocolatiers know how to satisfy your cravings without sugar, and without skimping on deliciousness. 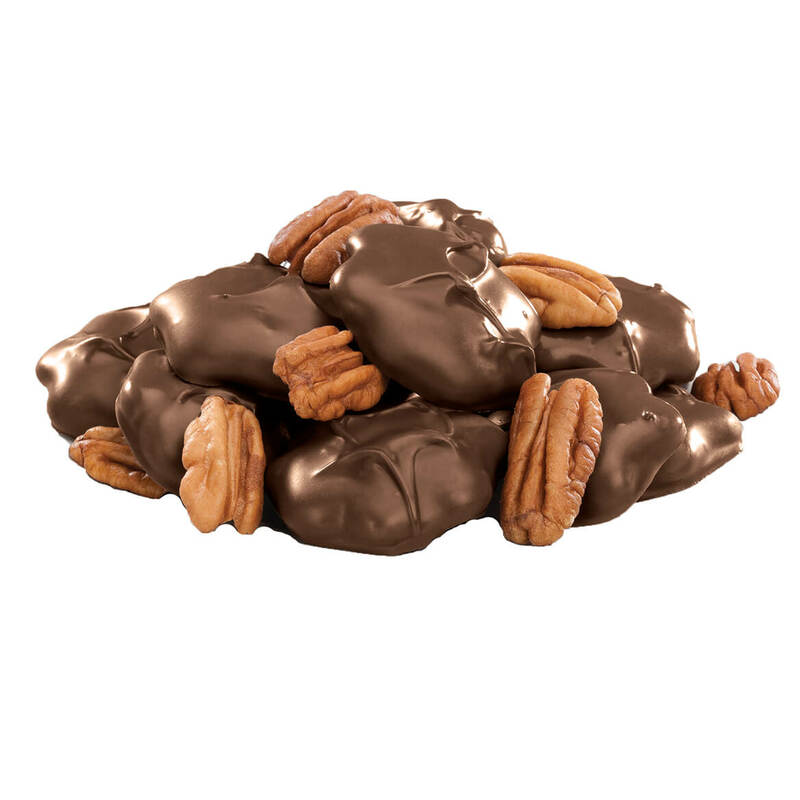 These sugar-free milk chocolate pecan caramel patties boast creamy gourmet chocolate, crunchy pecans and gooey vanilla caramel, offering flavor, texture and pure satisfaction you’ll be proud to give or serve—and thrilled to save for yourself. Made with the freshest, purest ingredients, the sugar-free chocolate candy is deliciously sweetened with Maltitol. 8 oz.